Mar. 26, 2018 6:30 a.m. The Trump administration expelled 60 Russian diplomats on Monday and ordered Russia’s consulate in Seattle to close, as the United States and European nations sought to jointly punish Moscow for its alleged role in poisoning an ex-spy in Britain. The expelled Russians will have seven days to leave the U.S, said the officials. They weren’t authorized to be identified by name and requested anonymity. They added that the Seattle consulate is a counter-intelligence concern because of its proximity to a U.S. Navy base. The move was one of the most significant actions President Donald Trump’s administration has taken to date to push back on Moscow and Russian President Vladimir Putin. Less than a week ago, Trump congratulated Putin by phone for his re-election but didn’t raise the spy case, renewing questions about whether the U.S. president is too soft on the Kremlin. The U.S. actions came as more than a dozen nations, including those in Russia’s neighbourhood, were expected to announce similar steps to reduce Russia’s diplomatic presence in their countries or other actions to punish Moscow. 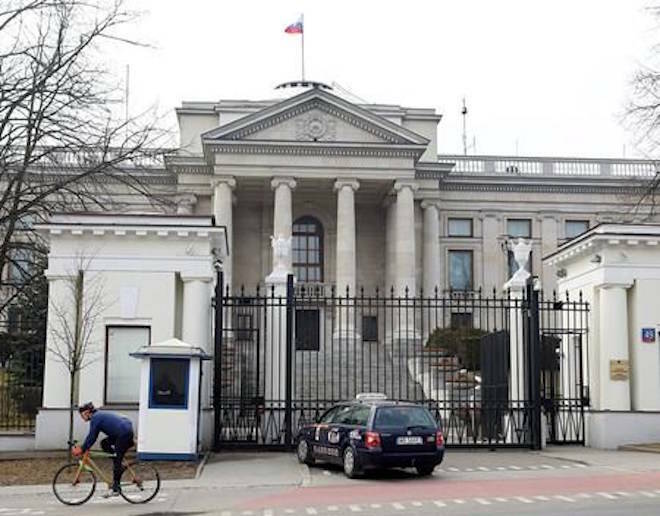 Poland summoned Russia’s ambassador for talks, and its foreign ministry was among several in Europe planning news conferences later Monday. Last week, EU chief Donald Tusk predicted that member states would introduce measures against Moscow over its suspected role in the spy poisoning case. Britain has already expelled 23 Russian diplomats, accusing them of being undeclared intelligence agents, which led Russia to expel the same number of British diplomats. The European Union has already recalled its ambassador to Russia. Britain has accused Moscow of perpetrating the attack. The U.S., France and Germany have agreed it’s highly likely that’s the case.